Learning ESL writing is no different from learning any other form of ESL communication. Or more importantly practice, and then learning from the mistakes that you make. This last part is important. Most people don't learn by just doing something; they learn by doing something, getting it wrong or making some mistakes, and then repeating without making the same mistakes. There are many ways that you can make your own writing better, and I'll tell you about them here; but, once you’ve seen what I suggest you need to go and do it. Write something, make a few mistakes, get them corrected and learn from them. That means that you need to do ESL essay writing, ESL business writing or practice writing a paragraph to get better. There are also pages about paragraph structure and writing argumentative paragraphs that you can use to make your writing better. You need to practice writing to get better. As the English saying goes, ‘You never forget how to ride a bike (bicycle)’. Continue with the process until you're truly successful – Keep practising until you no longer fall off your bike. That means that you need to put the effort in, to practice and get better when learning ESL writing, or any ESL skill. 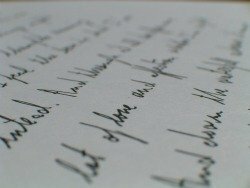 How you write is related to why you want to write English and the level that you're at now. Much of what I say will remain the same no matter why you want to write or your language level, but some will be slightly different. Remember that the four areas of ESL learning go together as pairs. Within each pair you need to do both at the same to get the best results. For help with the IELTS writing exam I've a whole section dedicated to that area as well as an IELTS correction service where I'll correct your writing tasks and explain areas where you can improve. If you need help with these four skills, for the IELTS exam, you can go to the IELTS buddy site, which specializes in this test, for help and advice. Following a good writing process is even more important for an ESL learner than it is for a native English speaker. The planning part becomes even more important because as an ESL writer you need to plan the content and the language that you'll use. See the page about the ESL writing process for more information about planning and writing your composition. There are also some ESL writing activities if you'd like to try them. They could help you improve your writing skills. One of the biggest problems faced by ESL writers is their lack of vocabulary. You know exactly what you want to say in your own native language but don’t know or can’t think of the right words when you need to write something in English. This is the most common problem faced by people trying to communicate (write or speak) in a foreign language, and a cause of great frustration for them. So many ESL learners try to learn lists of vocabulary; memorizing the word and its meaning, but then you can’t think of the words when you need them, when you’re writing. This is because you’re not learning the words in the correct way. See the learning useful vocabulary page for a better a way of learning language. Or read the ESL reading and writing page for an explanation of how reading can help your writing improve. Grammar is a part of ESL writing, more than, it is a part of speaking. Even native English speakers don’t always follow formal patterns of grammar when speaking. But assuming that you want to write academically, for business or for websites you’ll need to produce grammatically correct sentences. Mistakes in grammar when written are there for everyone to see. Just learning the rules of grammar is not of great benefit, just like learning lists of words, you are learning in the wrong way. You need to learn grammar as you write and apply it to get better. Part of learning to write is reading well written English and seeing how someone else forms their sentences and uses the words. In the grammar page I will highlight areas that you should pay attention to, and be aware of as an ESL writer. But I won’t be giving extensive explanations of the rules; just making sure you know what to look for when proofreading your own document. If you'd like some great information about English grammar I'd recommend that you go to the Perfect English Grammar site. It's got all the information you could need to improve your English grammar. Proofreading is part of the final stage of the writing process, the finalizing step. You’re still learning English, so the proofreading stage is even more important to make sure that there are as few mistakes left in your writing as possible. If your ESL writing is important, to do with your work or your education, for example, it is vital that you produce the best English writing you can. The ESL proofreading and copyediting stages will help you do that. So leave plenty of time for them, as they’re important and take longer than most people think. If you'd like some help with your proofreading I can help you improve the language used in your document through my proofreading service. I offer a free trial for first time customers. If you need any help or would like to ask some questions you can visit the Excellent Proofreading and Writing Facebook page where I’d be happy to help you. You can also keep up to date with all new additions to this site at my Facebook page.